Chinese Table Tennis Association and the Table Tennis School of Shanghai appointed two coaches and they came with the Chinese young sparring partners. 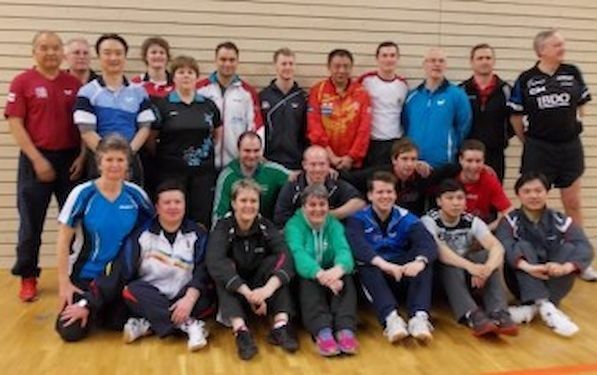 The European support came from Eurokids Head Coach Branka BATINIC and two other top European coaches, LIU Jiayi of England and LIU Liping of Germany. In the Boys Singles Event Chinese players showed the most and among Europeans the best were Cristian CHIRITA of Moldova, followed by Laurens DEVOS of Belgium and Valentin HENIN of Belarus. In Girls Singles Event Anastasiya KOLISH of Russia shined. Second and third were Krisztina VAGRA of Romania and Anna WEGRZYN of Poland. The Girls tournament winner Anastasiya said: “This is really good camp and all the practice was excellent. We worked for 6 hours each day. I am glad that the Chinese could attend I had a chance to practice with them. My wish is to play one day against the top Chinese women”.